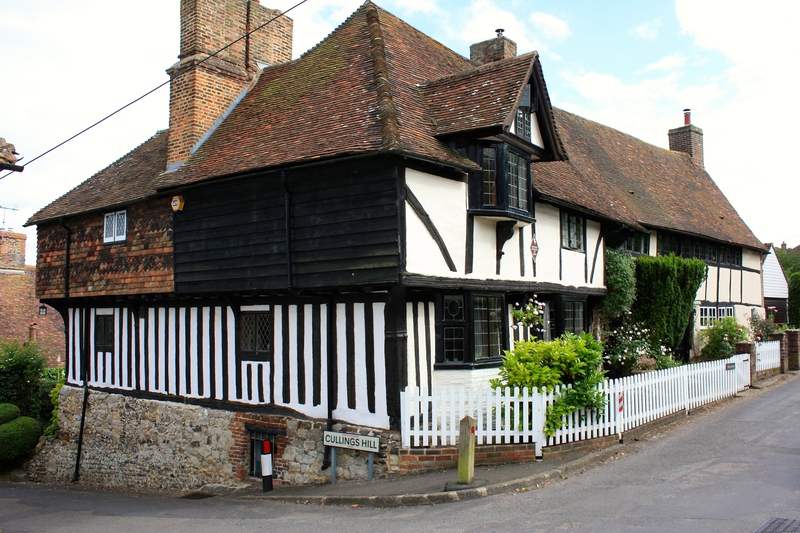 Nestled in a broad, fertile valley cutting a swathe through East Kent, Elham is the very essence of England. During W.W.II Sir Anthony Eden lived in a house outside the village and Audrey Hepburn attended school here. The settlement has a long history beginning in the Neolithic period, but is defined by its fine Tudor and Stuart architecture. Elham Manor, pictured below, dates back to 1387 but was significantly altered in the 16th century. Building regulations relating to foundations were a little different then, but the manor still sits proudly atop Cullings Hill, looking out over the village to the countryside beyond. Our destination for lunch, The Abbot’s Fireside, was built much later than the manor in 1641 and is reputed to have been the headquarters of the Duke of Wellington during a period when there was threat from Napoleonic invasion. The magnificent St Mary’s church dates from about 1200, when Elham was one of the most important and wealthy villages in the area. 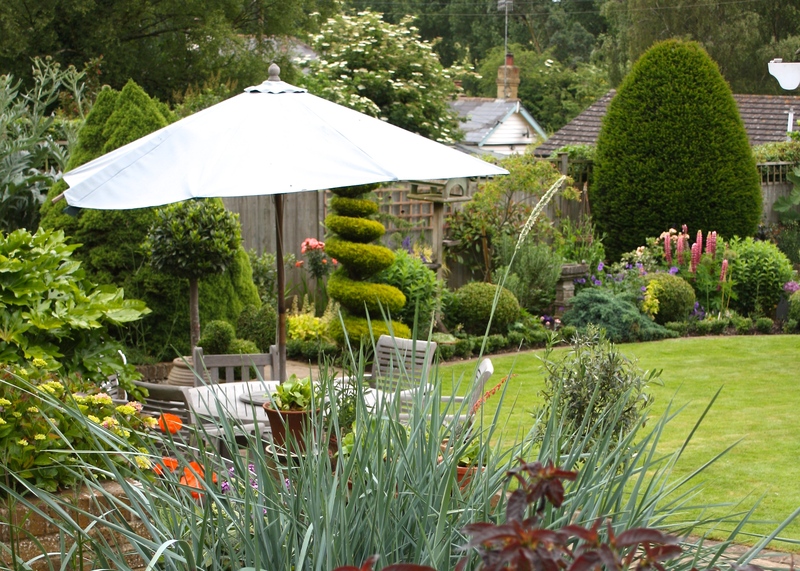 As befits a village endowed with so much history and charm, Elham has a thriving community and an active gardening society. This weekend nine gardens opened for the National Gardens Scheme, offering visitors a glimpse of the glories behind Elham’s buildings, old and new. There was none of the fuss or commercialism seen in frequently opened gardens, just displays of good honest horticulture and enthusiastic owners keen to share their experiences with like minded people. The official tour began, funnily enough, with property number one, Manor House Cottage, in The Row (at the top of the map above). This was one of the smallest gardens on the circuit, but full of inspiration, especially for keen vegetable growers. 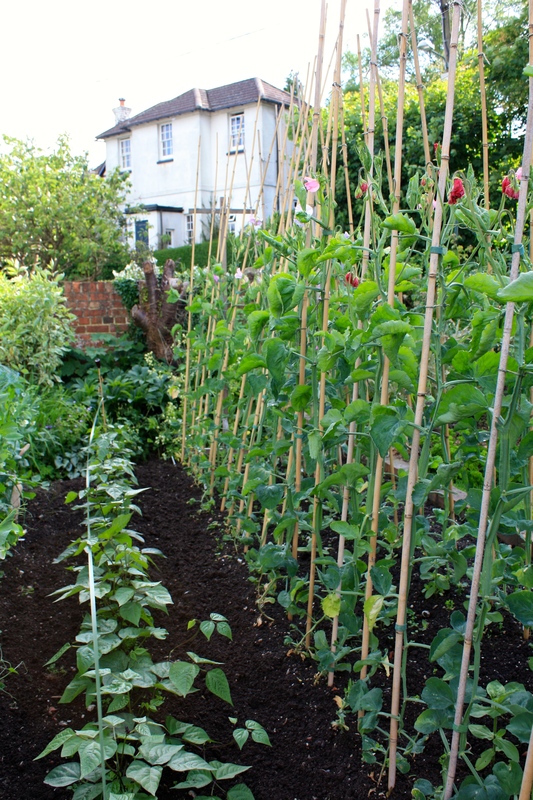 Vigorous rows of sweet peas scented the air alongside their culinary cousins. Nothing beats the smell of a well kept greenhouse, especially when it’s sheltering a crop of tomatoes. Small pots of basil and marigolds added a lovely piquancy to the air, but were mainly present to deter pests. I could have stayed in there all day. Garden number two, a short walk away at the bottom of the valley, boasted two ponds; one generously stocked with goldfish and the other designed for attracting wildlife. Owners Janice and John Cooper have had a big job on their hands this spring after their garden was flooded by the Nailbourne during January and February. 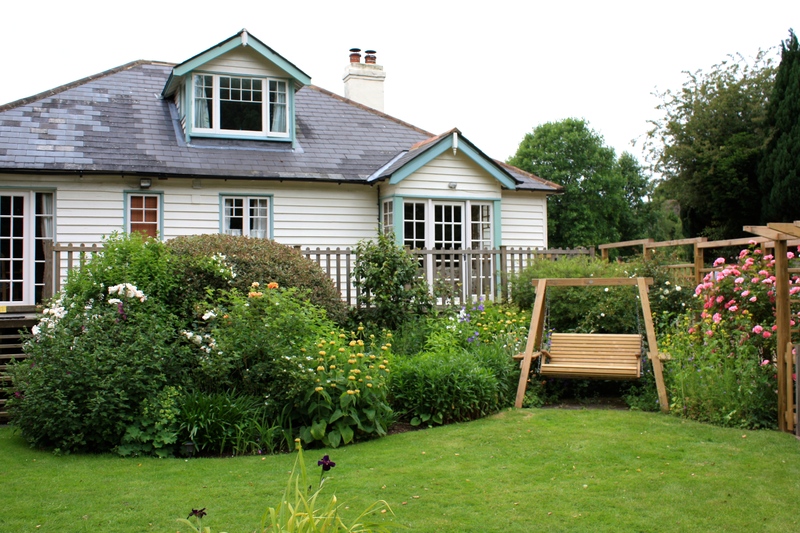 They have been busy replanting with roses, fuchsias and herbs, which complement their pretty weatherboarded bungalow. Retracing our steps through Elham’s main square (granted a market by Edward I in 1251), we found our way to Springfields in Duck Street. This was one of those utterly immaculate gardens which draw gasps of admiration from visitors. 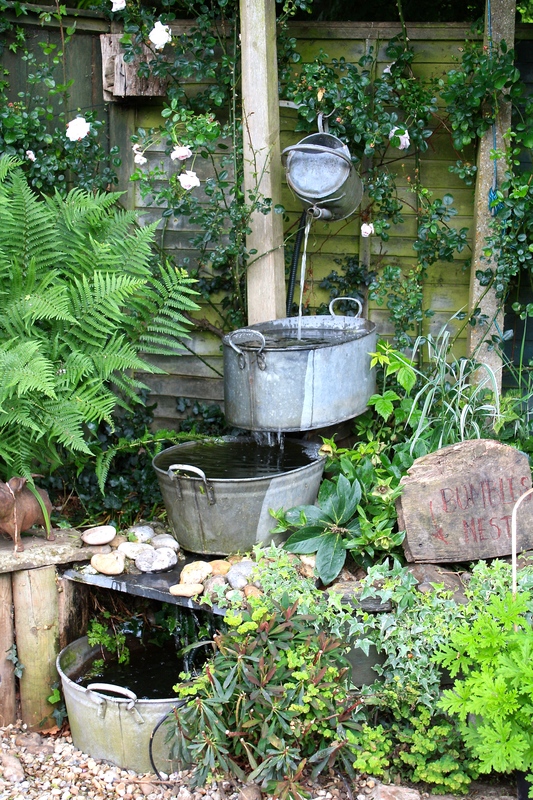 There were some very choice roses, hostas and acers to admire, as well as a pond and small vegetable plot. My friends’ sons appreciated the range of children’s toys on the patio, especially the Hello Kitty bicycle with its blaring horn. Elham’s railway line linking the village to Canterbury and the coast closed in 1947, releasing land for building new homes. 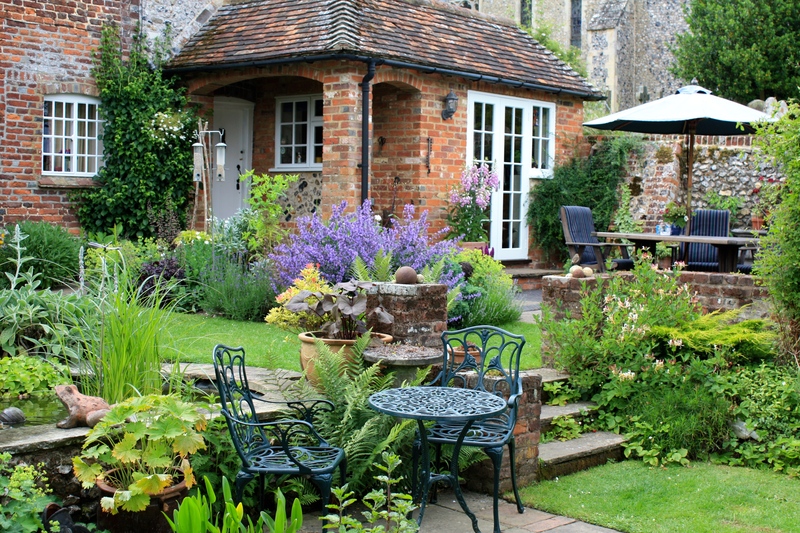 The lovely garden at 3, Station Mews hovers above the Nailbourne on land close to the old tracks. The garden escaped flooding this year, although properties on the other side of the stream were less fortunate. Owners Pauline and Barry Flanagan have packed in an extraordinary number of plants (gardeners after my own heart), especially roses and clematis. I particularly loved the quiet seating area they’ve created on a deck above the stream. Just around the corner, Sleepers Cottage had the largest garden on the tour and was one of my favourites. 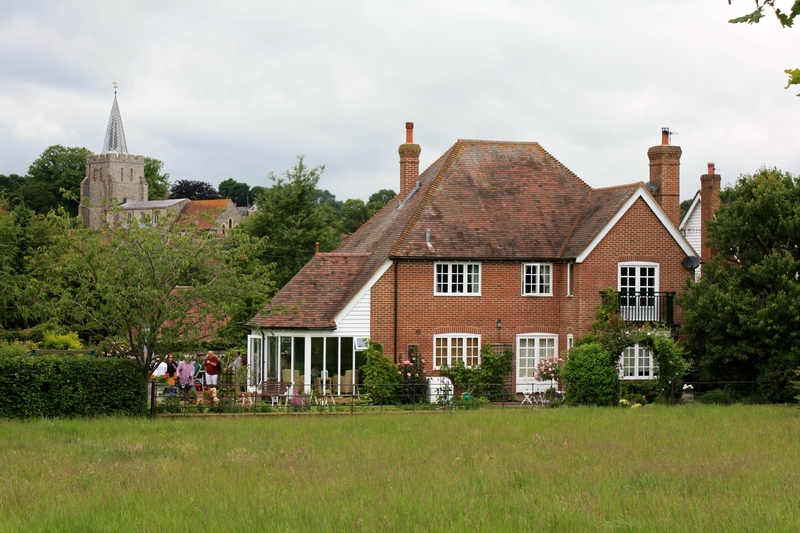 At the end of a row of newer houses built on the former railway’s sidings, the smart red brick cottage has unbroken views of the countryside and the church. This is the kind of house I could happily aspire to live in one day. Owners Carole and David Kincaid clearly enjoy sport as they have a fine grass tennis court and putting green. Chickens peck around in the garden’s pretty meadow, which has a secluded corner devoted to bee hives. 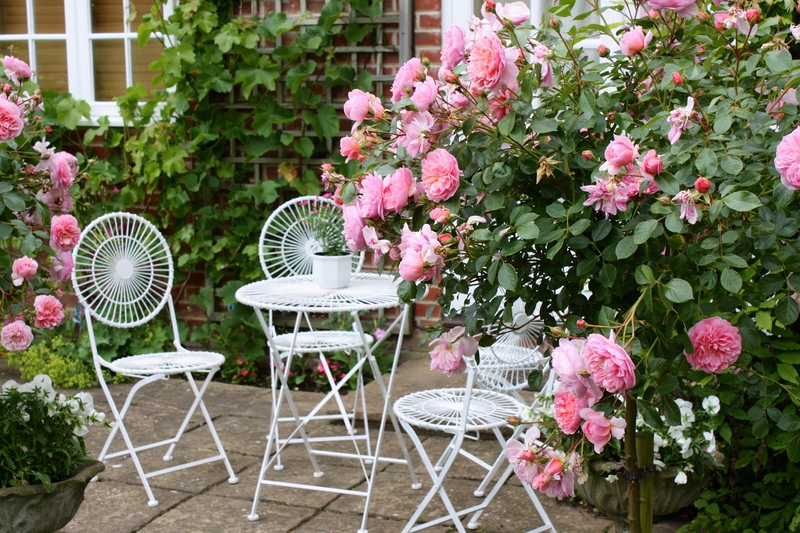 At the back of the cottage a lovely seating area was surrounded by roses and vines. 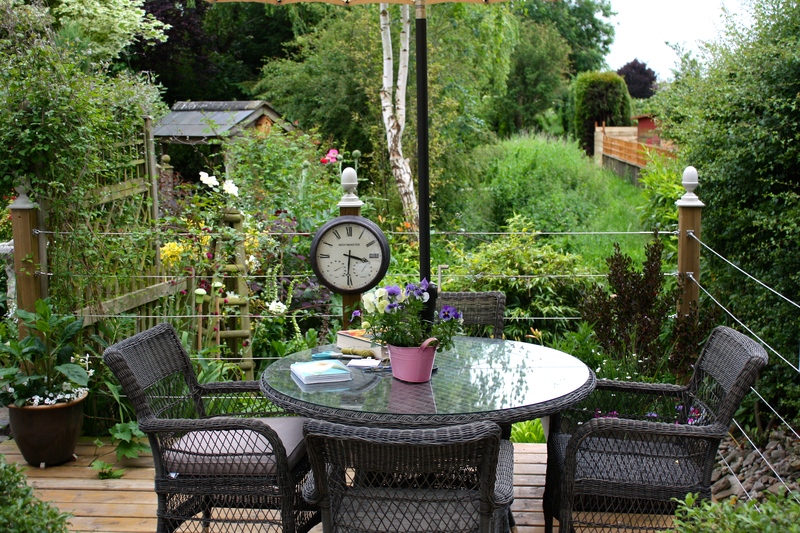 The unusual ‘spoke’ design of the garden furniture was perfect for the setting. 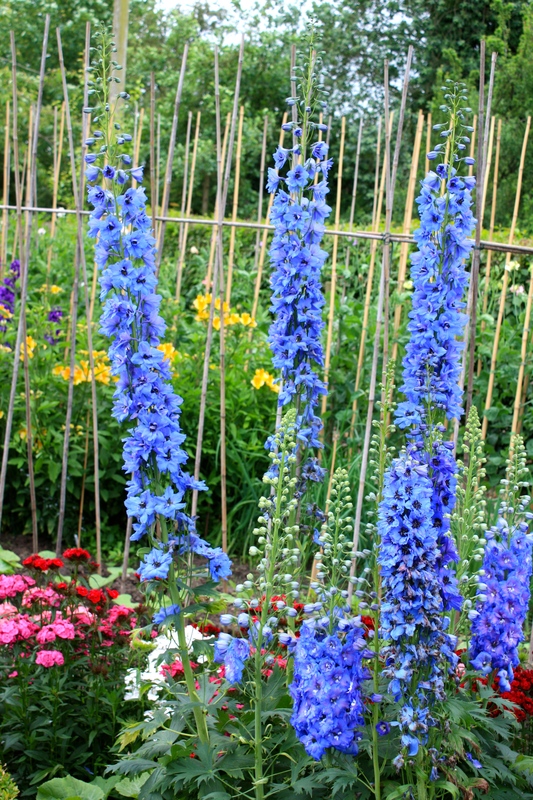 Down one side of the garden a long border full of vegetables and flowers for cutting was planted in diagonal rows. There were alstromerias, delphiniums and sweet williams in abundance, perfect for flower arranging. A short walk brought us to Hog Green, a road lined by modern bungalows each sporting wonderfully neat front gardens. At number 25 the riot of fragrant roses and sweet williams gave us a hint of the class act that lay behind. John and Hilary Mitchell have created a very special garden here, with a pristine lawn, curving paths and choice planting. Every corner offered something new to admire and the way the plants were combined confirmed that the owners knew their stuff. As at Sleepers Cottage, the views out to the countryside are priceless and The Mitchells have taken full advantage of the borrowed landscape. Just four years ago the garden was a bland patch of concrete and lawn, so the change they have effected is all the more admirable. 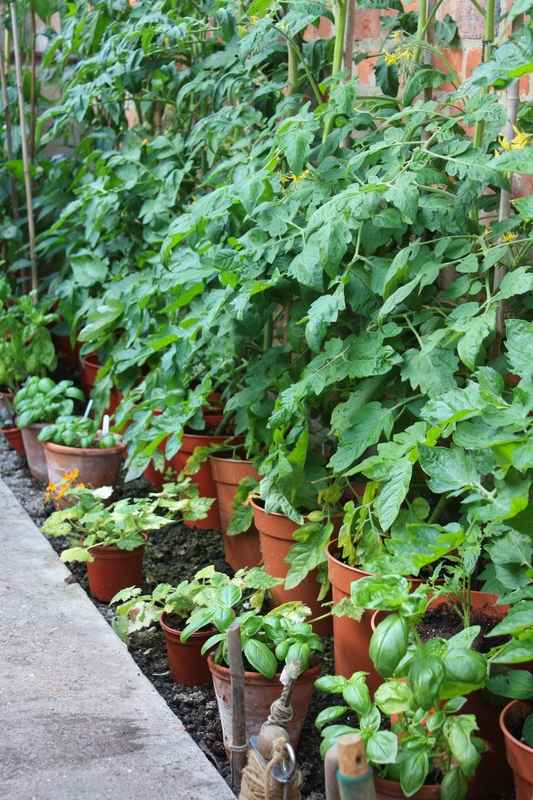 Immediately outside the back door there are pots of annuals and tomatoes, giving way to a generous herb garden. Alpines, including erodiums and sisyrinchiums, bask in gravel between paving stones. The pot in the foreground of the photograph below was crammed with petunias in lemon yellow and velvety black, planted around a sunny yellow osteospermum. 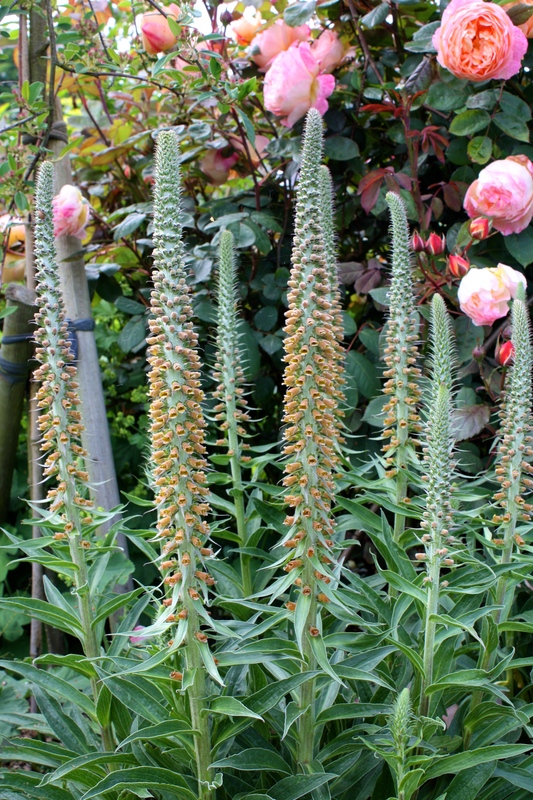 My favourite plant combination in the garden was Digitalis parviflora planted beneath Rosa ‘Lady Emma Hamilton’. It was less than twenty paces to garden number 7, across the road at 1 Hog Green. 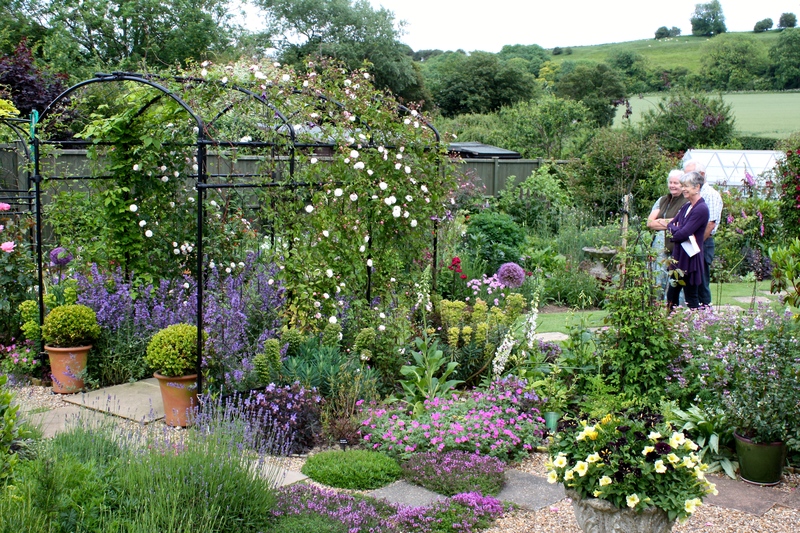 Here Hugh Buckhurst has created a small garden with huge variety. 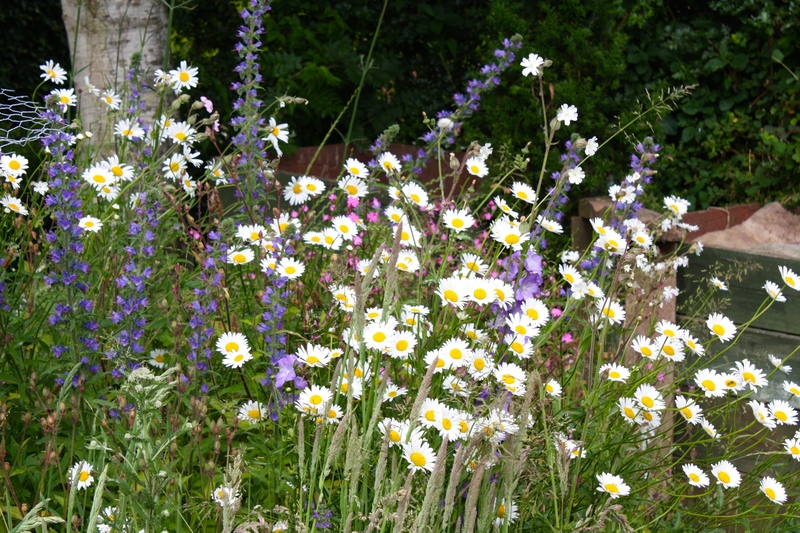 There’s a wildflower meadow, rose arbour, vegetable garden, wildlife pond and new stepping stone garden. With every twist and turn in the garden’s winding paths there’s an amusing sculpture to be found. Hugh told me that this particular Hog (or rocking ham!) is called Deirdre. 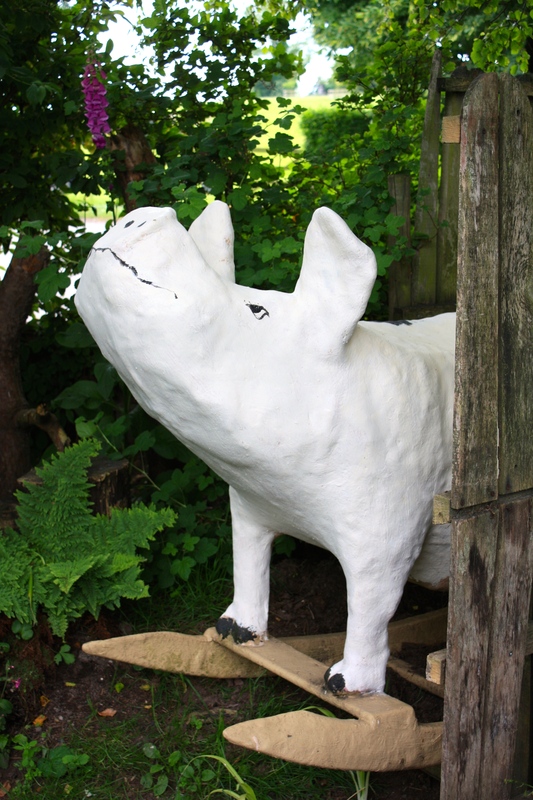 Made of paper maché and coated with fibreglass she is able to remain in her sty all year round. Your won’t see one of these in a National Trust garden! At the rear of the bungalow a quieter area has another sculpture made from organ pipes, and a water feature engineered from old zinc bathtubs. No corner of the garden, which wrapped around the house on three sides, was left untended. Running out of time we sadly had to skip garden number 8, the village allotments, to get to Church Cottage. This turned out to be my favourite garden of all. Sheltering beneath the hulk of the church, the tiny dwelling was surrounded by a garden of great quality and plantsmanship. Varied levels, clever screening and running water created interest and variety, giving the illusion of a much larger plot. Maggie Newington talked to me about the challenges of keeping such a small garden; what to do when plants outgrow their space and where to squeeze in new acquisitions. It’s a constant juggling act, but Maggie and her husband Richard seem to know how to keep all their balls in the air. 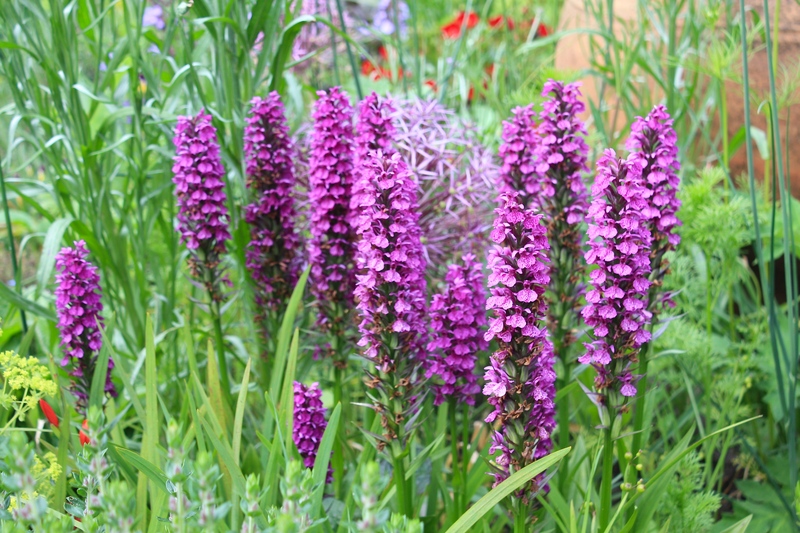 A gift from garden number one, Manor House Cottage, an enviable clump of Madeiran orchids (Dactylorhiza foliosa) was a real showstopper. 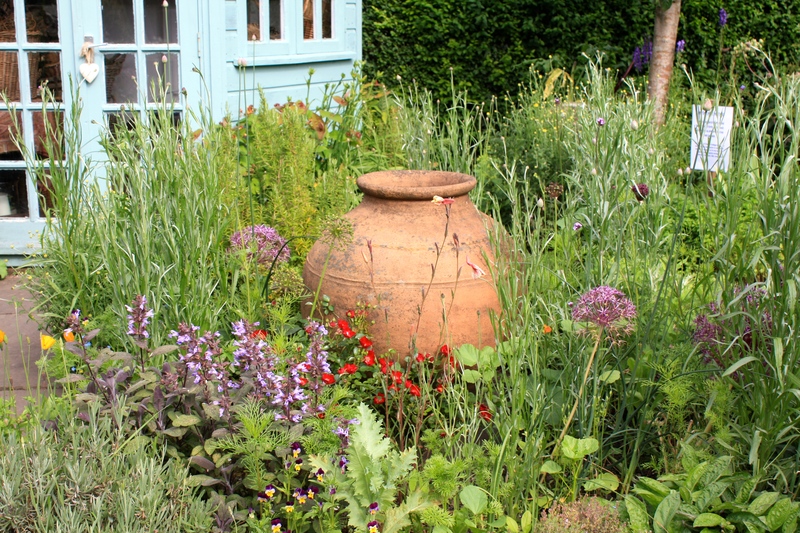 They are so prolific that Maggie has enough to fill a large terracotta pot as well as an open space in the garden. 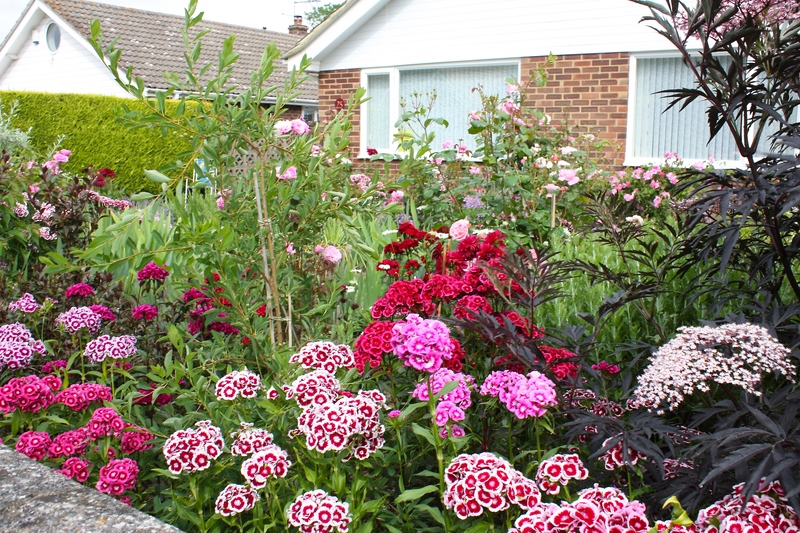 It’s through the generosity of garden owners such as Elham’s that the NGS is able to raise so much money for charity. At the same time, enthusiasts such myself are able to gain inspiration from gardens of all shapes, sizes and styles: gardens that you’d never find in a fancy book or magazine. Like Elham and its glorious valley, these gardens are the very essence of England and why our reputation as a nation of gardeners endures. 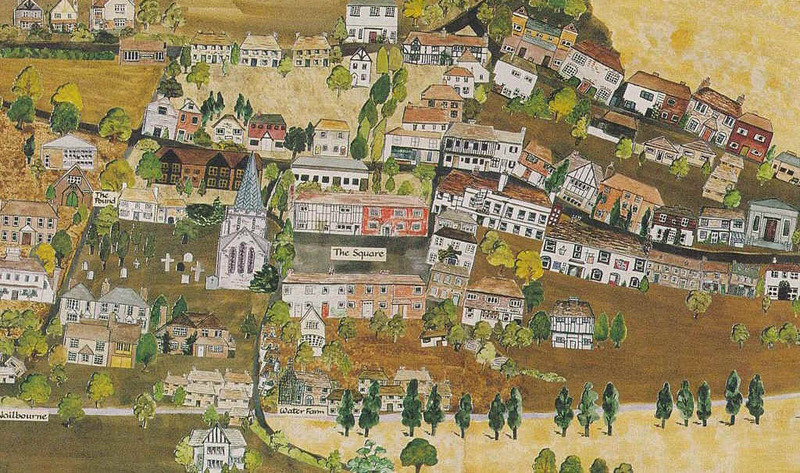 Find out more about Elham, it’s history and community here. I know, made me smile too!